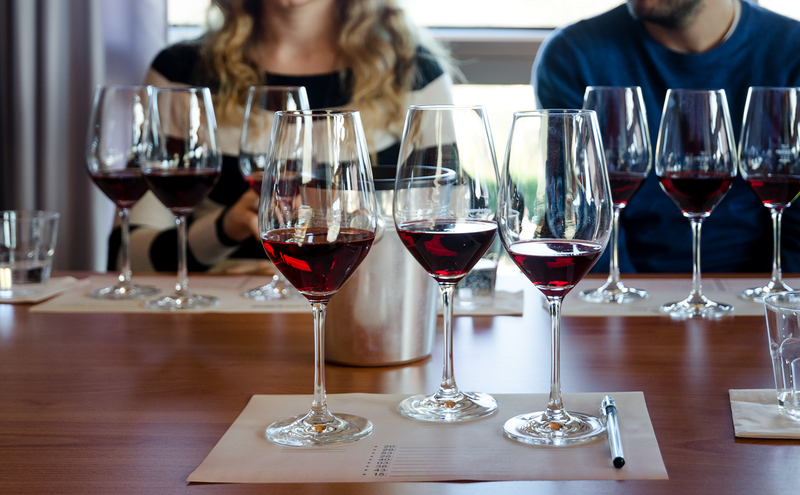 A well-designed tasting is a great way to learn about wine. This article is useful especially for people who are looking to learn about wine in a group setting. Choose clear, plain glasses without any patterns on them. You can simply go with what you have or buy something similar to the glasses in the picture above. 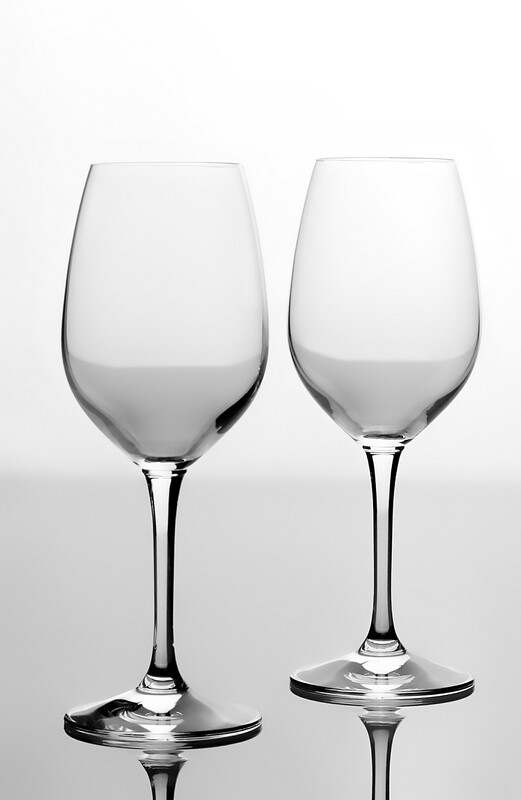 It is best if the glasses have somewhat of a tulip shape where they are wider at the bottom of the bowl than the top. They don’t need to be especially big or expensive and you don’t need different types of glasses for different styles of wine. Plan on having a separate glass for each wine you will be tasting so that you can compare the wines to each other during the tasting. So, if you are tasting 6 wines, each taster will need 6 glasses set in front of them. Alternatively, you can ask people to bring their own set of glasses. 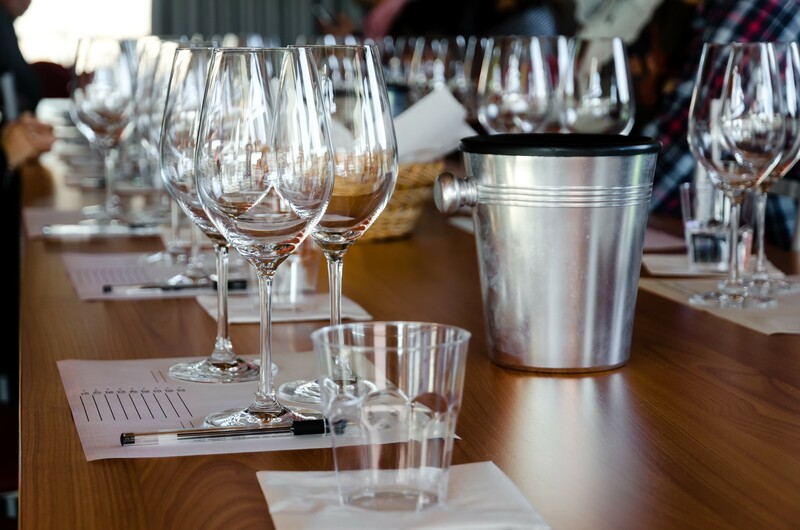 Make sure that the glasses are clean and free of any detergent smells on the day of the tasting. 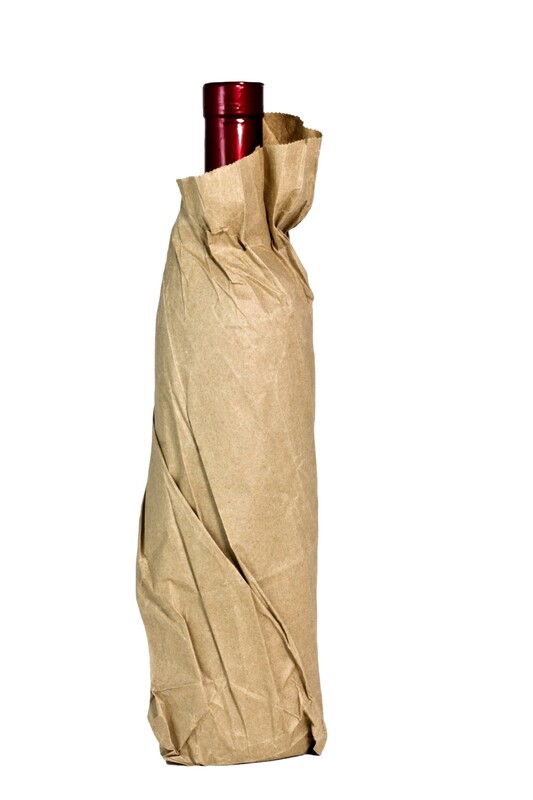 Paper wine bags if you are planning to taste blind (optional). Natural daylight is ideal. If natural light is not available, a well-lit room should be fine. It is best to have a table that can accommodate everyone’s tasting glasses and notebooks. Make sure that there are no smells in the room such as cooking smells from the kitchen or perfume of one of your guests. Wine aromas are subtle and get overpowered easily. Have a white surface that you can use to hold the wine against and see the color clearly. A white table cloth is good but not necessary. You can simply use a white sheet of paper or a white napkin to hold against the glass. Decide on how many people to invite. 4-8 people is generally a good number. Your final number will depend on how many tasters can be accommodated in the space, how many glasses are available and how much you’d like to spend per person. Make sure that the invitees have similar goals in learning as you do. If your purpose for this tasting is education, everyone needs to be committed, if it is more entertainment, then invite like-minded folk. If you’ll be sharing the costs, agree on a budget for the wines with the other tasters, making clear, how much each taster needs to contribute. Decide on a theme and the variety of wines within that theme, then make a list of wines to buy. There are many themes you can work with. 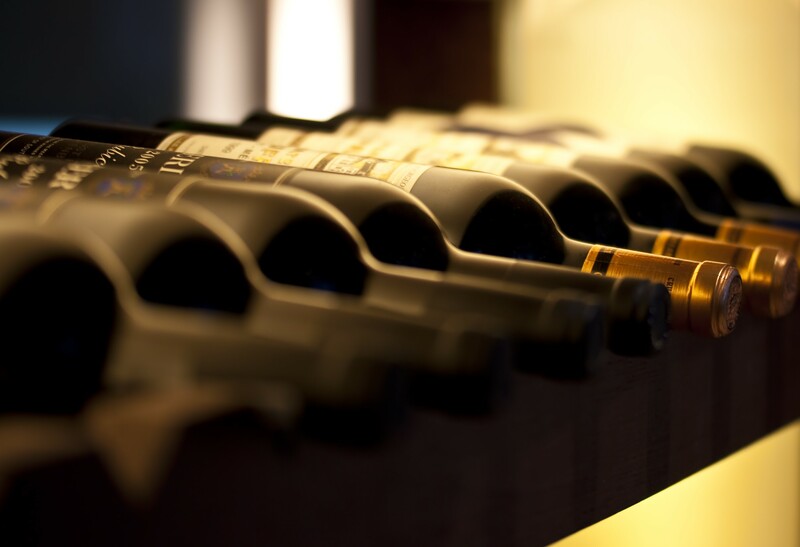 If your group consists mostly of beginners, stay with a simple theme such as a tasting of major whites or major reds. In general, 4-6 wines is sufficient to cover most themes. Major red varieties: compare well-known red varietals such as Pinot Noir, Cabernet Sauvignon, Merlot, Syrah, Malbec etc. Major white varieties: compare well-known white varietals such as Chardonnay, Sauvignon Blanc, Riesling, Chenin Blanc etc. A German Riesling vs. a Washington State Riesling etc. Sauvignon Blancs from New Zealand, California, Loire Valley etc. Napa Valley wines with a Pinot Noir, Cabernet Sauvignon, Merlot and Zinfandel etc. A comparison of 2010 and 2015 in Barolo etc. 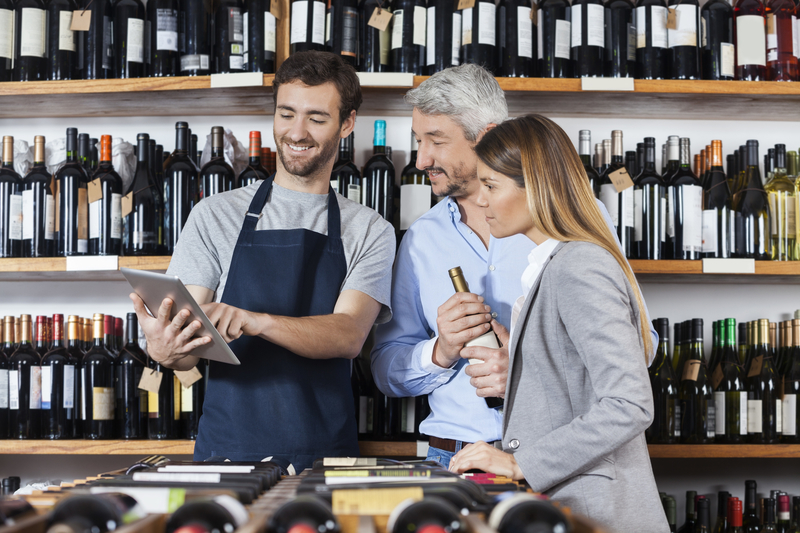 Go to your local store with your list, let them know what your budget is and ask them to recommend a few classic producers that make a typical style of each wine you’d like to buy. Explain that you are not necessarily looking for the most popular, or the best tasting wines but the most typical examples of each type of wine. For example, for a Burgundy, a deeper-colored, fuller-bodied style may be their best seller but the typical red Burgundy style is a lighter, more elegant wine and that’s the one you want to buy. 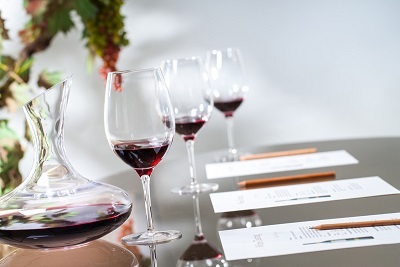 Set the tasting table with wine glasses, a water glass and a spittoon for each taster. Remember to provide some drinking water and some neutral crackers or bread. 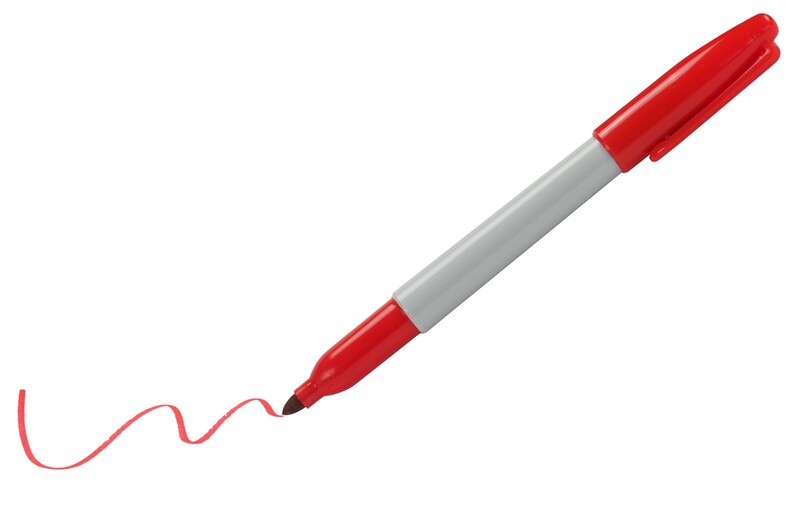 Use your wet-erase marker to number the base of your glasses. This is an optional step but one that makes it very easy to go from wine to wine for comparison. It is important not to overwhelm your palate. Open and order your wines in a way that un-oaked wines with less ripe, more subtle flavors to be tasted first, and the more concentrated wines with oak aromas or bold flavors to be tasted last. If you will be tasting the wines blind (that is, without knowing what they are), place them into identical bags and number them. Pour a small amount of wine into the glasses, around 1.5 – 2 oz. per person. There should be enough room in the glass so that it can be swirled comfortably but also enough wine so that the aromas can be felt. Refer to the picture below for a visual guide. Fill all the glasses at the same time, instead of pouring and tasting wines one by one. That will help you compare and contrast the wines more easily. While moving through the wines, make sure to leave some wine in each glass so that you can go back and forth for comparison. Keep it simple. The purpose of the tasting is not to be able to list the highest number of descriptors or the most unusual fruit names, but to be able to describe each wine and understand how it fits the general theme among the other wines in the line-up. Feel free to use the simple plan below. Appearance – Is the wine cloudy or clear? Is the color light or dark? 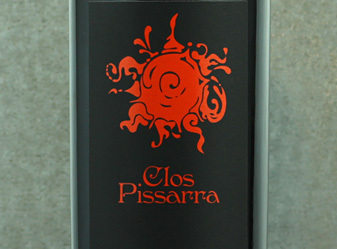 Nose – Does it smell fruity, floral, vegetal, spicy, oaky? Are the aromas powerful or subtle? 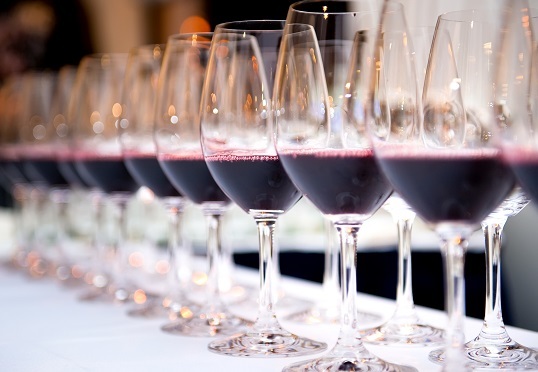 How does it compare to the other wines’ aromas in the line-up? Palate – Is there any sweetness? Is the acidity high/low? Is the body full/light? For red wines, are the tannins high/low? Finish – How long do the pleasant tastes and aromas stay in the mouth? It doesn’t matter whether you are right or wrong with the above assessments, especially in the beginning. 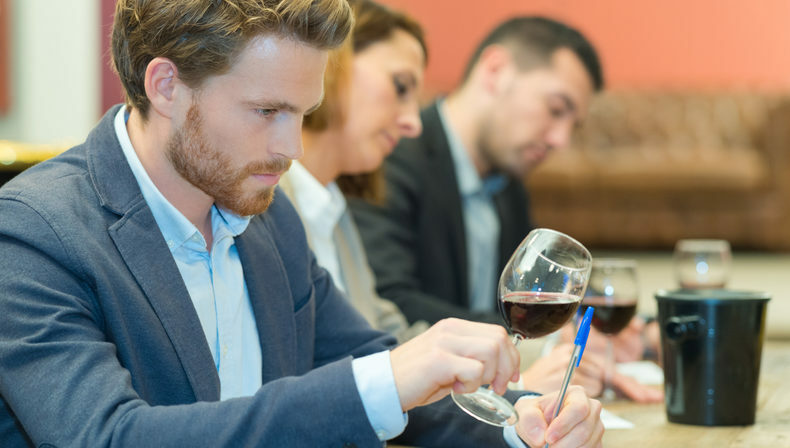 By going through the exercise, you’re training your mind and your palate to pay attention to the wine’s most discerning aspects which is a big first step in learning about wine. You might also want to note how much you like each wine and whether you thought it was a good value for its price for future buying reference. If you are like most tasters, you’ll find that your tastes change and evolve as you taste more wine in time. It is fun to score each wine with a date on it and then compare it to your score of the same wine at a later date. 1. Do I need to drink water between the wines? Generally no. 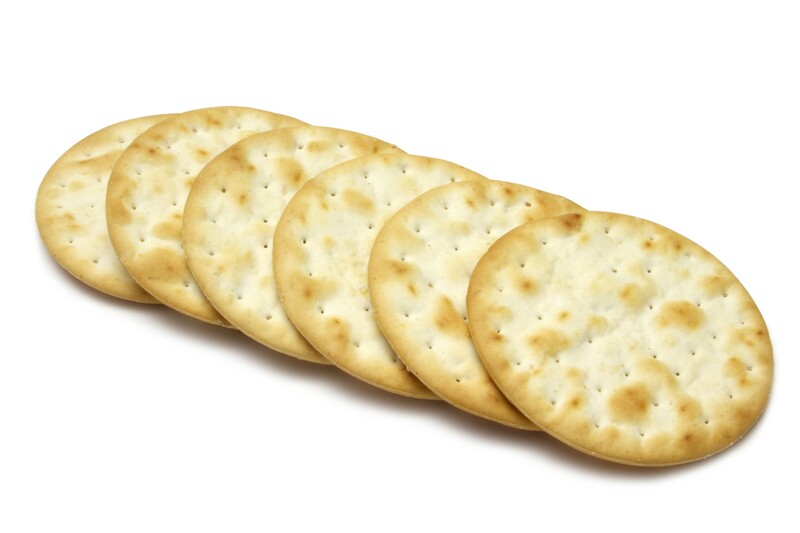 It is a good idea to rinse your palate with water and to have a piece of neutral cracker or bread when going from a strongly flavored wine to a more subtle one. For example, you might want to do that if you are tasting a dry wine after a sweet wine or a lighter bodied white wine after a big, oaky red wine. But if you constantly rinse your mouth through the tasting, you’ll find it more difficult to compare the wines accurately. 2. 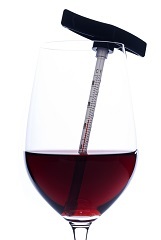 At what temperature should I serve the wines? Since you’ll be tasting all the wines together, inevitably all the wines will end up at room temperature in a short time. Still, you might want to chill and even a little bit overchill the whites before the tasting. If your tasting environment is somewhat warm, you can slightly chill the reds as well. 3. Do I need to decant the wines? If you have some wines that will be very hard to taste without decanting, then yes. That would be something like a young Barolo or a young concentrated Bordeaux etc. 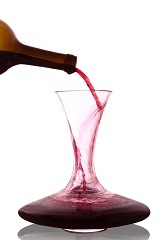 If you have more than one wine to be decanted but have, say, only one decanter, you can go with double-decanting – emptying the wine into a decanter, letting it sit for a few minutes and then pouring the wine back into its original (rinsed) bottle. 4. What should I and my group conclude from a tasting? The conclusion of the tasting will depend on your theme. If your theme was ‘major white varieties’, you may come to the conclusion that Sauvignon Blanc and Riesling are both high in acidity, and Sauvignon Blanc has more of a grassy character; if it was a single varietal theme such as ‘Pinot Noir’ you may find that the Pinot Noirs from California have higher alcohol and riper flavors than those from France etc. You don’t have to work on a lot of details in the beginning. Keep your observations simple and note them down. If you keep doing this regularly, you’ll be amazed at your progress even in a short time. New York Restaurant Hearth’s Wine List has been chosen as the Best Wine List in North America by World of Fine Wine. Congratulations to Paul Grieco! Eric Asimov of NY Times has suggestions for Wines for Savory, Pungent Sausages. Scroll through the comments section for a few more savvy recommendations from the readers. Useful article from Robert Taylor of Wine Spectator on “U.S. Wine Shipping Laws.” Check it out to see whether it is legal in your state to receive wines from out of state wineries and retailers. Jon Bonné reports in SF Gate – “The best of the sherries at Sherryfest.” Great read if you’d like to brush up on Sherry and discover a few of the best producers. What I like most about Oak’s wine list is its balance between the geeky and mainstream wines. 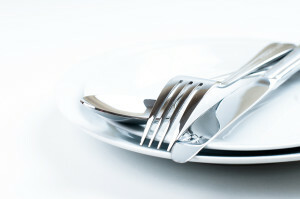 It gives the diners the option of adventure while offering comfort with the familiar and tasty. Scroll all the way down if you’d like to see some winepairing suggestions for specific menu items. Let’s start with the mark-ups which are between 2.5 -3 times of the wine’s general retail prices. That’s still within the higher end of the standard range. But it fails to promote experimentation. Well-marketed Veuve Cliquot Yellow Label will have its following at its list price of $120 but why not sell Gaston-Chiquet “Tradition” a little lower than $115 or Pierre Peters, a fabulous Blanc de Blancs from the Grand Cru Mesnil-sur-Oger, a bit less than $140? Fewer people will have heard of these two wines and a little incentive could give them the opportunity to discover something new and delicious. I completely understand that mark-ups vary by restaurant, but it always feels good to have a couple of “great values” on a list which I thought lacked at Oak. Another issue with the wine list, at least in our experience, was availability. Our server came back with the information that the first wine we ordered, Scala Dei “Prior” Priorat, 2008 ($65) was not available. Then we ordered L’Ecole 41 Merlot from Walla Walla Valley ($65), but instead of the Walla Walla Valley, a bottle that said L’Ecole 41 Columbia Valley was presented, without any explanation. Here, it may be useful to know that L’Ecole’s Columbia Valley Merlot generally sells for about 30% less than its Walla Walla Merlot. When I pointed out that this was not the wine we ordered, our server disappeared for about 10 more minutes and came back with the information that the bottle we ordered was again not available. By then, our appetizer courses had finished and we were well into the main course. At this point we gave up and ordered a Gustav Lorenz Pinot Noir Rosé 2012 from Alsace ($58) which showed up at the table midway into our main courses. Perhaps this was an unfortunate time to visit Oak as we were later informed that there was a management transition at the restaurant and they were looking for a new Manager/Wine Director. Hopefully a dedicated and competent Wine Director who will also work as a floor sommelier will improve matters in a short time. The starters that we’ve ordered were good but not great. The Braised Hearts of Palm did not show any evidence of having been braised, and tasted like they just came out of a can. The heirloom tomato in the same dish however was fresh, in season and full of flavor. Among the main courses, we liked the meat dishes we ordered better than the fish dishes. The Niman Ranch Pork Chop and its side of local greens were perfectly seasoned and cooked. The BeefTenderloin was truly divine as it was perfectly charred on the outside and cooked to an absolute perfection inside. The glazed carrot when combined with the miso mustard and a piece of the beef had just the right combination of the sweet and savory flavors. The service could use improvement in a few areas. Our server was polite and courteous with a good command of the menu, however, he didn’t seem to be in a hurry to make sure that a bottle of wine arrived at the table before we were almost finished with our food. The supporting staff were rather impatient with the collection of items from the table, reaching for a few of the dishes while we were picking up a last morsel from the plate. Maybe the future manager could address some of these issues as well. Even after a few hiccups during this visit, I would still go back to Oak for some of the brilliantly executed dishes and to see how they fare with some of the wines on the list. Asparagus is a toughie, being poached makes it even harder. I’d either do something aromatic and savory like Sauvignon Blanc to go above it, or stay neutral with a Pinot Blanc to make it shine. Au Bon Climat “Hildegard” Santa Maria Valley, USA ($78) – This one is a blend of mainly Pinot Gris and Pinot Blanc. 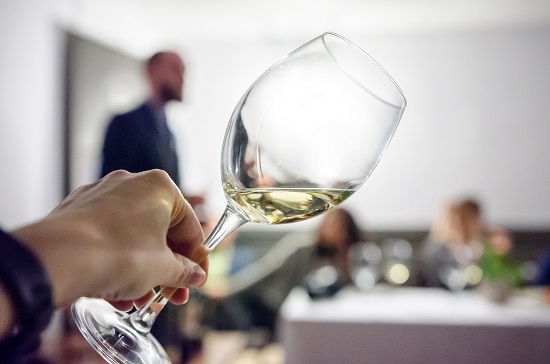 At a recent dinner with Felipe Tosso, Chief Winemaker at Ventisquero, we started with the 2013 Sauvignon Blanc Reserva from Casablanca Valley. The wine had the typical savory and citrusy aromatics and crisp acidity of Sauvignon Blanc without overwhelming the palate. Tosso calls 2013 “his coolest vintage ever” and he has been making wine in Chile for over 20 years. Ventisquero is a Chilean winery that started production in 2000. Felipe Tosso comes with a winemaking experience of many regions both in the Old World and the New, having spent most of his time at Concha y Toro again in Chile. John Duval, one of the previous winemakers for the legendary Penfolds Grange also works with the team at Ventisquero on a few of the projects. At our meeting, next came the 2011 Grey Pinot Noir from Leyda Valley. This wine retails at about $20 and I was pleasantly surprised by its forest floor, damp earth aromas combined with its ample ripe red berry fruit. It had a Burgundian note without giving up on the new world fruit. At that price range there are too many New World Pinot Noirs that either show overly ripe, candied fruit or are simply too dilute. Grey Pinot Noir showed a beautiful balance with its fruit and structure. Leyda Valley, where the Grey Pinot Noir comes from, is a cool climate area of Chile due to its coastal location. Tosso explained that the mesoclimate “changes a little bit for every 4-5 miles of distance from the ocean,” with the coolest areas being the ones closest to the ocean. As many readers are probably aware, Grenache, Syrah and Mourvedre varieties are often blended together, originally in the Rhone Valley and now in many locations of the world, including Australia. Tosso makes a GCM blend, replacing Syrah with Carignan. We tasted Ventisquero’s 2012 Grey GCM from the Apalta region of Colchagua Valley. GCM displayed the roasted strawberry fruit of Grenache and the spiciness of Mourvedre and had an elegant finish. As the rest of the Grey line, the GCM also retails at around $20. For the Grey GCM they use small (1-2 ton) open top fermenters and employ manual punch downs to submerge the cap. The post-fermentation maceration is short (2-3 days) which probably contributes to the elegant texture of this wine. No new oak but only 100% French old oak barrels are used. Then came the 2010 Grey Carménère from Maipo Valley. I find that some Chilean Carménères struggle to find the balance between their dark weedy, coffee notes and their blackberry, black cherry notes, the former being sometimes too dominant. This one was clean and had well-defined, focused fruit and a freshness in the finish. For this vintage, Tosso added 4% of Petit Verdot, a variety that makes itself apparent with its spicy aromas even in small amounts. At around $20 retail, it is not the cheapest (nor the most expensive) Carménère you can find, but it is well-worth the extra few bucks. If you like Cabernet Sauvignon with plenty of lush blackcurrant, blackberry fruit but are a bit weary of the overripeness or the ample oak in some New World examples, try the 2010 Grey Cabernet Sauvignon from Maipo Valley, Chile’s mecca for Cabernet Sauvignon. It is full of fruit without being overwhelming and has a freshness that makes it very food-friendly. We tasted the two higher end wines Vertice and Enclave at the end. 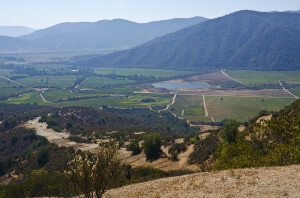 The 2009 Vertice is a blend of Carménère and Syrah, about half of each, and comes from Apalta in Colchagua Valley. The 2010 Enclave is a Bordeaux blend, mostly Cabernet Sauvignon and hails from Pirque in Maipo Valley. While the Enclave retails about twice as much as the Vertice (approx $60 vs. $35), I found the Vertice to be fresher and more approachable. 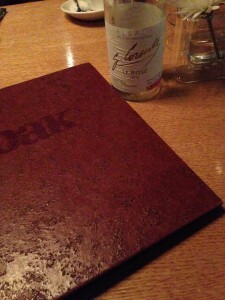 Enclave needs more time in the bottle for the oak to integrate and the flavors to open up. Staying in the glass for about an hour did well for Enclave during our tasting as it quickly evolved to reveal more of its ripe black fruit and cedar notes. The ripe but grippy tannins are a testament to its high altitude origins as it comes from the highest vineyards in Maipo at about 2,000 ft.
For me, the Grey Pinot Noir was the wine of the tasting, especially considering its price. Following that closely is the Grey Carménère. The Pinot is a ‘must try’ if you are a fan of this grape. Grey Pinot Noir may also come in handy as a good ‘ringer’ for a Bourgogne Rouge or Oregon example if you are one to frequent blind tastings. The Grey Carménère is a beautiful every day wine for the big red wine enthusiast who would like to venture out into new varieties without getting too far away from the shore. This wine was the unanimously and passionately voted winner at our latest Monday blind tasting on June 9th. Only 158 cases have been made and at about $20 – $25 a bottle, it is probably already sold out by now but its producer has a few other lines available as well as the newer vintages of this same wine. With an intensely perfumey nose with dried violets, lavender and ripe dark black cherry blueberry notes it is intoxicatingly beautiful, a sensation that only increases by thinking about the fact that one had to pay only about $25 for it. The palate is full and round with a burst of ripe fruit and present but round tannins. I can easily drink this by itself but would love to see it paired with any game meat, a steak with barbecue sauce or with a duck confit. 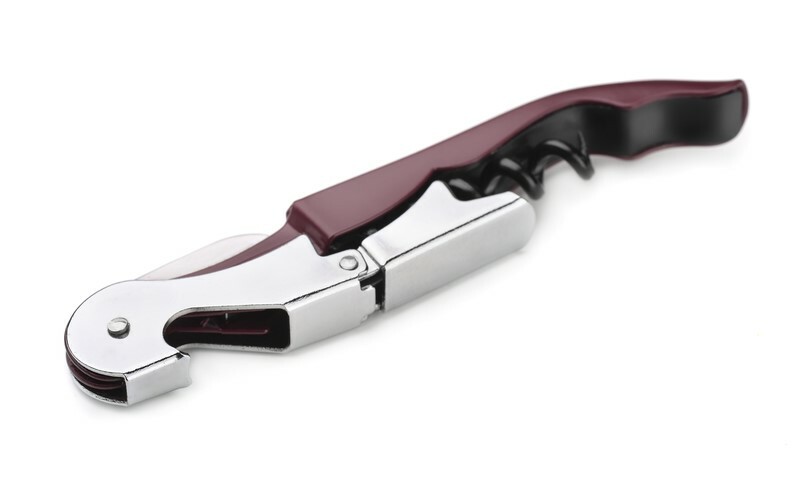 Be them wine geeks, absolute beginners or wine snobs, your friends will love you for serving this wine. We first tasted Aristan on Monday June 9th at our blind tasting and I kept tasting what was left on Tuesday, Wednesday and Thursday. After three days it kept quite well and if anything the perfumey notes were even more apparent. Aristan is a blend of Grenache and Syrah and comes from a vineyard in Montsant where the yields are very low ( about 1 ton/acre). I haven’t found any comments on the oak regimen on the website but there does seem to be new oak notes of vanilla, cinnamon, cloves and nutmeg on the nose which complement the wine and are carried well by its intense concentration. If you’d like to see where Aristan comes from, watch a short video on YouTube by Master Sommelier Emmanuel Kemiji, the vineyard owner for this wine.